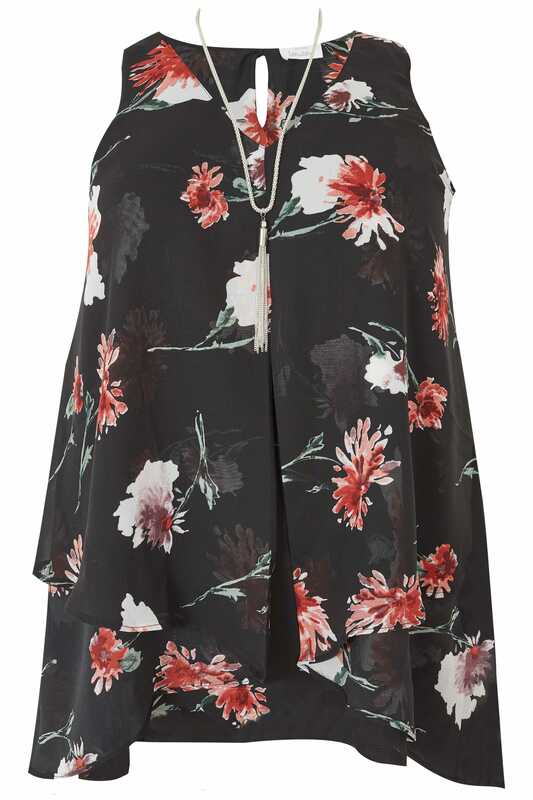 Add a dose of colour to your wardrobe with this chic top from Yours London. 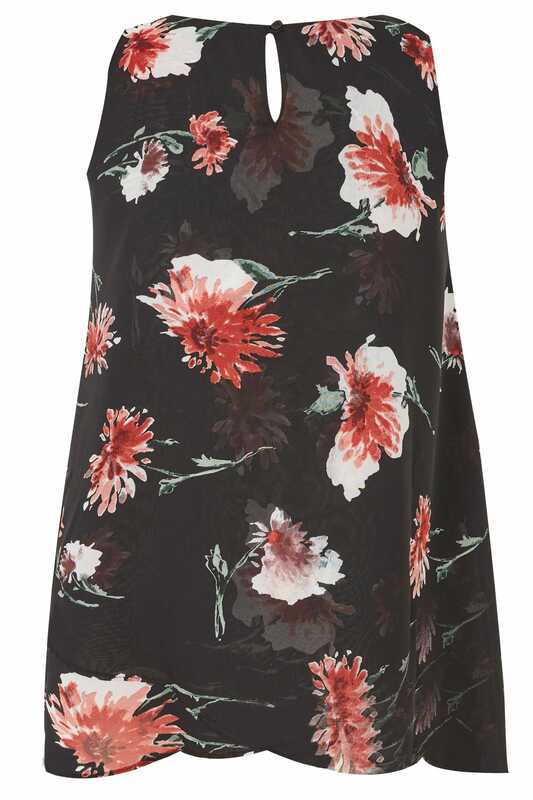 With a layered front, its sleeveless style features a feminine v-neckline and boasts a bold floral print in a red hue. To complete the look, style with a pair of dark denim and high sandals. Elevated with a free necklace, this top serves as a chic option for day-to-evening styling.